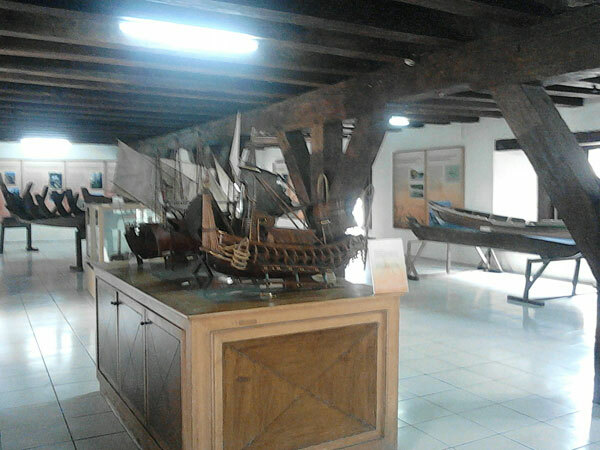 Museum Bahari or Maritime Museum is a museum that displays collection of objects relating to maritime in Indonesia. 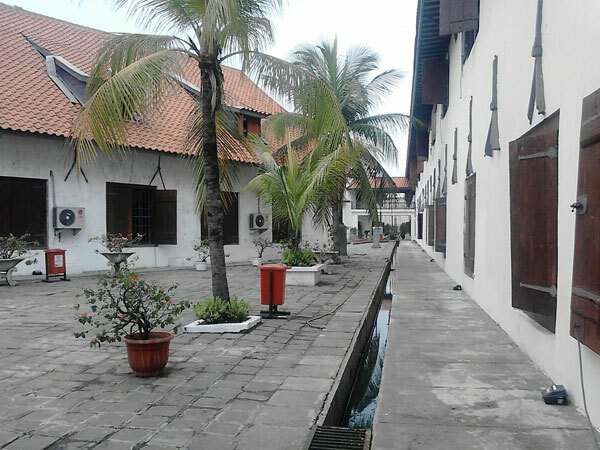 Maritime Museum is located at Jl. Pasar Ikan, Jakarta Utara/North Jakarta and overlooking the Jakarta Bay. The building that currently used by Maritime Museum was built in 1652 and was once a warehouse storing spices that will be sent to Europe. Currently, the Maritime Museum has 126 collection of objects of the maritime history. The collection mainly are ships and traditional commerce boat. Among the dozens of miniature boats on display are collections of 19 original boats and 107 miniature. Also the equipment used by sailors in the past such as navigation equipment, anchor, binoculars, lighthouse model, and cannon. In general, the condition of the building occupied by the Maritime Museum is still good. Visible cracks in the walls are painted white, matching the color of tile. There are only one or two, among dozens of porous wood windows. It’s just the whole condition of the building was not seen in the collection stored in it. A total of 850 collections in the form of ceramics found in shipwrecks, various types of wood as a raw material for the ship, photographs of the history of marine archipelago, various navigation equipments to the preservation of a variety of marine life looked dusty.